Make a formal introduction with these crisp dress shirts from Ultra Club®! 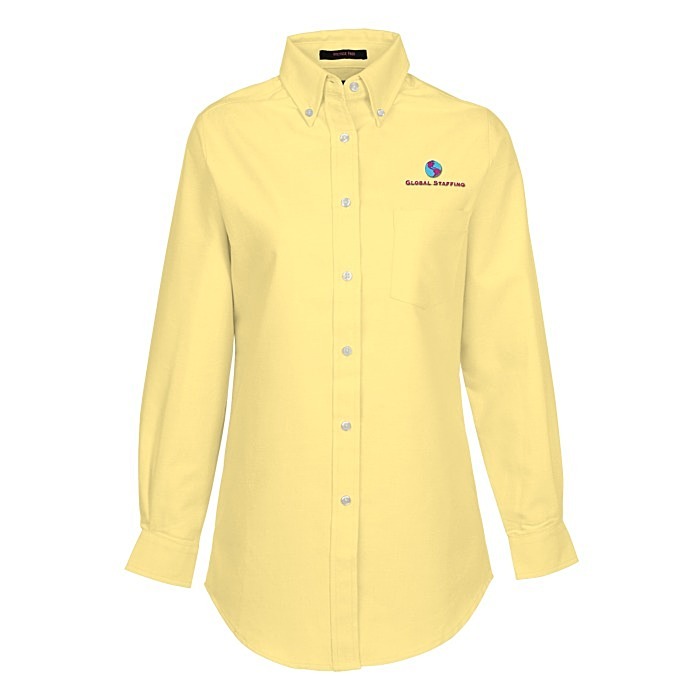 Shirts are made from a 4.2-oz, 60/40 cotton/polyester blend. Fabric is wrinkle-resistant and lightweight for everyday wear. 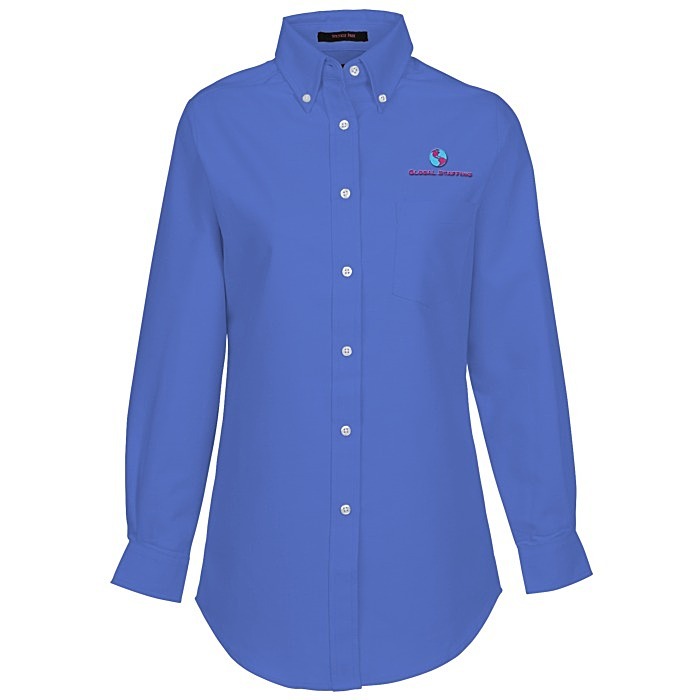 Button-up shirts are designed with a classic fit and an extended tail. Shirts also include a button-down collar and a left chest pocket. 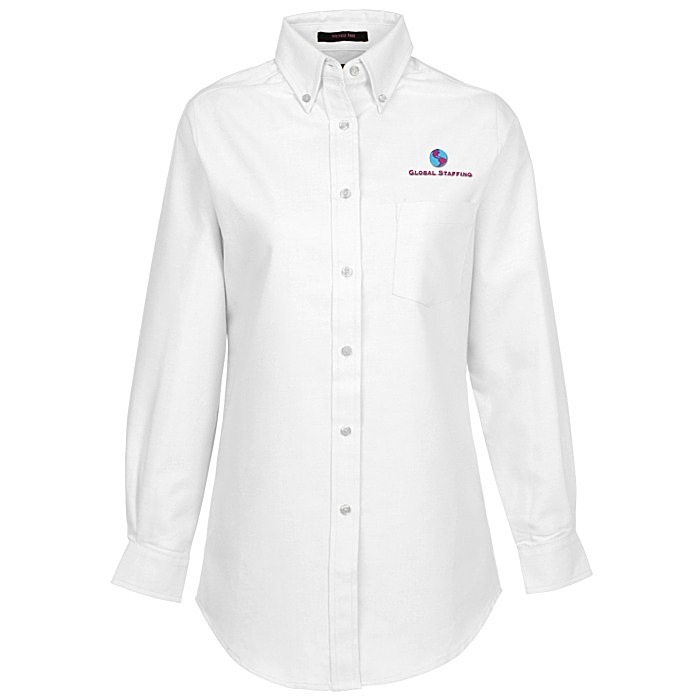 For the coordinating men's version, please see item #3456-MClassic Wrinkle Resistant Oxford Dress Shirt - Men's. One-time tape charge: add $35 on less than 24 pieces; FREE on 24 or more!